Note: Activator comes with spray nozzle. 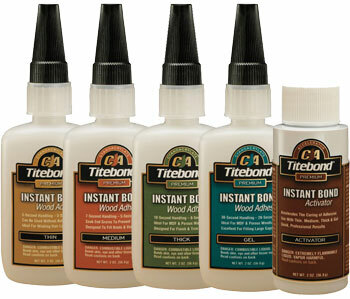 Instant Bond is a two-part bonding system that takes between 5 - 15 seconds to set and 30 - 60 seconds for initial cure. It provides a strong, permanent bond and is ideal for hard to reach joints or surface areas that are difficult to clamp. This adhesive is also very effective on a variety of materials and substrates. Activator: Accelerates the curing of adhesive with thin, medium, thick and gel with quick Professional results.